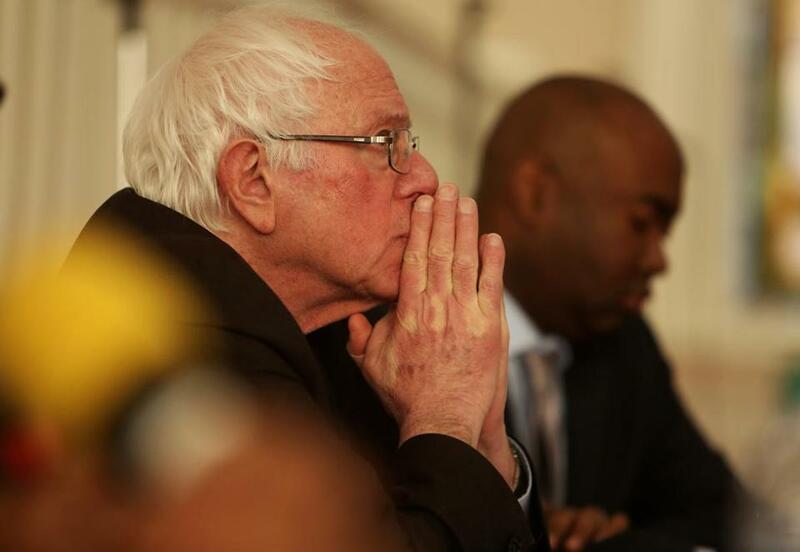 Senator Bernie Sanders of Vermont has by far the largest number of low-dollar online donors of any current or likely 2020 Democratic presidential candidate, according to an analysis of campaign finance data. Senator Bernie Sanders would begin a 2020 presidential bid with 2.1 million online donors, a massive lead among low-dollar contributors that is roughly equivalent to the donor base of all the other Democratic hopefuls combined. Beto O’Rourke, the former Texas congressman who narrowly lost a Senate race last year, is also poised to be a fund-raising phenom if he runs for president: twice as many online donors as anyone eyeing the race besides Sanders. Three senators who are already running have their own solid track records with small donors. Senator Elizabeth Warren, with the third-highest number, has notable strength in New Hampshire, even topping O’Rourke there. Senator Kirsten Gillibrand has built up broad national support among small donors, despite a reputation as a big-money fund-raiser, while Senator Kamala Harris raised $1.5 million online in her first 24 hours as a presidential candidate. Small-dollar donations are expected to be a huge deal in 2020 — the renewable resource that Democratic candidates will depend upon to fuel their campaigns. And those five Democrats represent a top tier with the most formidable followings, each counting a base of at least 230,000 online donors, according to a New York Times analysis of six years of federal election filings from ActBlue, the Democratic Party’s dominant donation-processing platform. The findings provide a window into one of the most closely guarded and coveted resources of a modern campaign: the digital donor lists that bring in the vast bulk of low-dollar donations. These online donations average just under $40, and candidates like to point to such modest amounts as evidence of the breadth and depth of their support among regular people. In the early stages of a presidential race, when polling measures little more than name recognition, the relative size of donor networks can provide one of the best metrics of strength. For Sanders and O’Rourke, the enormous early edge in their donor rolls has afforded them the flexibility to wait longer before deciding to jump in, and has sparked a sense of urgency in other campaigns. Both men have signaled they would rely overwhelmingly on small donors to fuel any campaign. The particular power of Sanders’s list was on display in late December when he e-mailed supporters with the provocative subject line, “If I run.” That single e-mail netted $299,000 from 11,000 donations, according to a senior Sanders official. That is almost the exact amount that Warren raised on the day she announced she was entering the race, data shows. The Times’ analysis estimated the size of the online donor armies for current and potential candidates by comparing hundreds of millions of dollars in donations processed through ActBlue. The analysis does not include candidates who have not run for federal office, such as mayors or governors, nor those who did not use ActBlue. To get a sense of scale, if Sanders’s 2.1 million donors constituted a city, the closest approximation would be to Houston. For O’Rourke, it would be Seattle (742,000). For Warren, Honolulu (343,000). Gillibrand would be Toledo, Ohio (271,000). Harris would be Winston-Salem, N.C. (239,000). Senator Cory Booker, who entered the race at the start of February, would be Grand Forks, N.D. (56,000) — a sign Booker has not yet converted his vast social-media following into financial contributors. Former vice president Joe Biden, despite being nationally known, would probably also begin far behind because he has not run for office on his own in a decade. His political action committee reported about $925,000 in donations of less than $200 since mid-2017, but since Biden does not use ActBlue, there is no estimate of his number of donors. A spokesman for Biden declined to comment. Biden does have one unusual asset: access to the Obama campaign’s vaunted e-mail list, which was 9 million-strong when turned over to the Democratic National Committee in 2015, according to the party. But e-mail lists rapidly atrophy, and one that is seven years old is seen as a relative relic. Donors lists can take years to compile, and the biggest ones are often only developed through running a high-profile race. E-mail remains the dominant way to raise money online, and campaigns heavily advertise efforts like petition-signing drives on Facebook to harvest new donor e-mail addresses. Those lists, in turn, generate volunteers and a network of potential supporters who can amplify candidates’ messages on social media to build further support. Grassroots giving is seen as so important in 2020 that the Democratic National Committee has included it as part of its presidential debate qualification rules. “It is hard to see someone winning this nomination who isn’t at or near the top of ability to generate small donations, because they are a measure of enthusiasm,” said Anita Dunn, a Democratic strategist and veteran of the Obama White House. The findings represent the best snapshot of small donor strength at the starting gate of a campaign where the ability to raise tens of millions of dollars from small donors will be crucial, particularly as leading candidates are disavowing super PACs that allow for unlimited sums from wealthy backers. Of course, in a race likely to stretch over the next 18 months, early advantages can dissipate quickly. A strong poll or viral moment can prompt donors to give to new candidates, thereby growing their lists by huge numbers — so long as they are positioned to capitalize. Harris’ launch-day haul, for instance, rivaled that of Sanders in 2015. Both Harris and Gillibrand landed on the leader board despite having not faced a competitive election in recent years. The two senators spent heavily to bulk up their small donor lists, investing in multimillion-dollar campaigns on Facebook in 2017 and 2018 to add e-mail addresses to their supporter list and lure in new contributors. While it is no surprise that Sanders is ahead with small digital donors — he is the only potential candidate to have a previous run for president included in the analysis — the sheer magnitude of his opening advantage is striking. Gillibrand actually had slightly more donors who were exclusive to her than Warren — even though she counted 70,000 fewer donors overall. Critical questions remain about almost every candidate’s donor lists: Will donors to Sanders from his 2016 primary challenge to Hillary Clinton stick with him in a 2020 race with progressive alternatives? How much of O’Rouke’s flock were drawn to the chance to defeat Senator Ted Cruz, a favorite liberal villain? And how many of Warren’s boosters backed her against then-Senator Scott Brown but may not be on board for a run for the White House? Behind the top five candidates, Senator Sherrod Brown of Ohio, who is traveling through the early states as he considers a run, finished next with 114,000 donors. Next was Senator Jeff Merkley of Oregon, who was the only senator to endorse Sanders in 2016 and is now mulling a campaign; his 105,000 online donors suggest his fund-raising potential is relatively underrated. Booker is among the most widely followed potential presidential candidates on social media (he has 4 million Twitter followers) but the New Jersey Democrat had the seventh-most donors among senators looking at 2020 bids. Booker’s campaign website intermittently used ActBlue in 2013, 2014 and 2015, suggesting his full number of online donors is likely at least somewhat higher. Booker has announced that Jenna Lowenstein, a former top digital strategist for Clinton’s 2016 campaign, would serve as his deputy campaign manager, a move seen as focusing on improving his online donor footprint. Senator Amy Klobuchar of Minnesota, who is expected to announce a 2020 bid Sunday, lags far behind her colleagues, with fewer than 38,000 donors. That figure was about on par with Richard Ojeda, who briefly declared his presidential candidacy after losing a House race in West Virginia before abruptly quitting in late January. Representative Tulsi Gabbard of Hawaii, who announced her bid for president in January, had 41,000 donors, but more than 75 percent overlapped either with Sanders, whom she endorsed in 2016, or other potential candidates. Gabbard’s single best day for online donations came 2½ years ago. That was the day Sanders sent a fund-raising e-mail for her.